I’ve always had a weak spot for waffles. I used to love Eggo waffles growing up, unaware of the authenticity this waffle lacked. I grasped on to my love for them up until my first year of college in Chicago; I can recall times I’ve thrown waffles in my toaster in a rush, only to eat them nearly as cold as they started as I walked the snow-covered streets. I was also fascinated by their themed waffles, like when they had Lego Eggo’s or Pirates of the Caribbean. 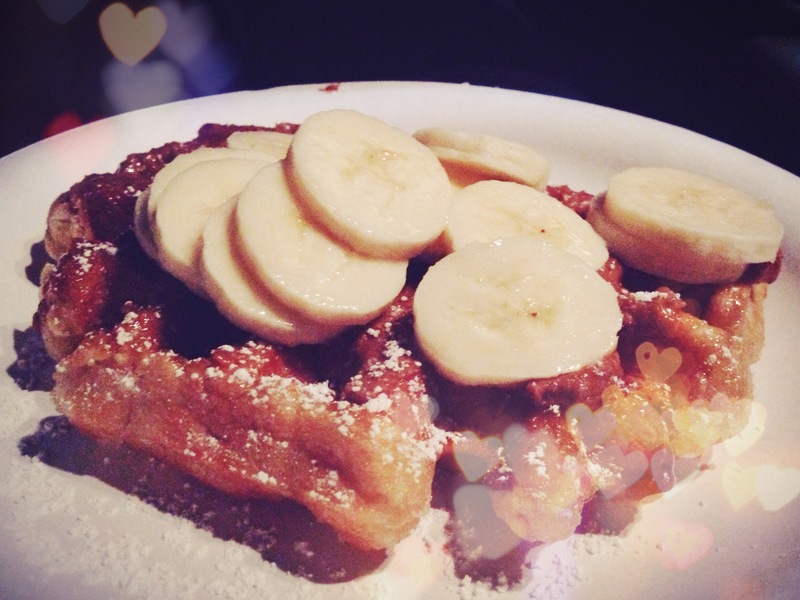 My sophistication for waffles have grown since then and I have been reunited with my love for waffles through Southern California’s gourmet waffle truck- Waffles de Liege. It all started when I got home from a long day of work, attached to my bed. I came across @wafflesdeliege on Twitter and after a few clicks around their site and an observation of their menu, I declared that I would not be leaving my apartment unless I was getting waffles. Leave my apartment I did, a waffle I did get. I almost got the Nutella Classic- fresh bananas and Nutella on the Liege waffle, but the guy on the window suggested I try the Speculoos Special instead. I’m not a diehard Nutella fan. Heck, I don’t even know when’s the last time I’ve consumed Nutella. It was the same concept, except with Speculoos instead of Nutella. He claimed that it is a better suitor for their Liege waffle and how could I say no to better flavor? It was that night, I fell in love with Speculoos and the Liege waffle. What are they? You’ll find it on the FAQ section of their website. The waffle was crisp on the outside, yet soft and doughy in the middle, the perfect texture. It has the right amount of crunch. The Speculoos, which taste like a gingerbread cookie in butter form, complimented the waffle like they were soul mates. And the banana?Yes, it was delicious amongst the duo, but it is there for me to feel like I’m being healthy. To be honest, I was nervous that I was getting myself an overwhelmingly sweet dessert, but it was just right! From the moment it hit my tongue, my taste buds did a celebration dance.